Football must be baffling to a civil engineer as logic never seems to apply anywhere or at any time. So, it is for Florentino Perez, the Real Madrid President, who has axed his manager just four months after disrupting the Spanish national side on the eve of the 2018 world cup, by employing their manager at the time, Julen Lopetegui. The same man has proved a failure in less than four months to Perez, who after seeing his club suffer a 5-1 thrashing in the El Clasico at the Nou Camp in Sunday, decided to cut his losses. Which is just a figure of speech given Lopetegui has had to be paid an estimated €18m to end his three-year contract prematurely. At a time when Perez thought he could enjoy the fruits of his labours and that fourth Champions League title in five years, his world has been rocked by Cristiano’s demand to leave, his manager Zinedine Zidane’s resignation and yet another humiliation by arch rivals Barcelona, with the club entering another rocky period under his tenure. This latest upheaval resurrecting that infamous Perez period in history when Real Madrid hired a new manager every season for about ten consecutive seasons. An instability that was marked by two just successful periods of three years or so; the first under Vicente del Bosque and the second under Zinedine Zidane who also brought nothing but trophies to the club. 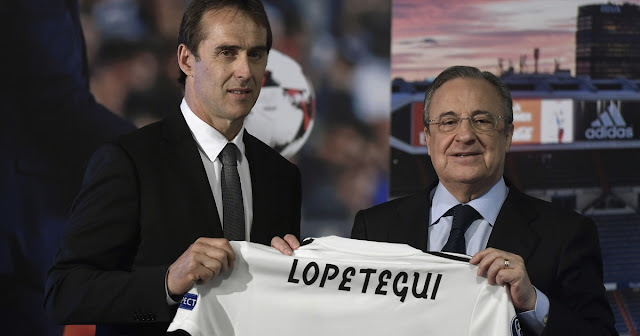 Now, in 2018 Perez knows any new potential manager will see the squad needs a major revamp, a costly exercise the club do not want at this time, particularly on the foot of the pay-out given to Lopetegui to rescind his services. With a large number of players also on the wrong side of thirty any incoming boss needs to sell before buying. Plus, assimilate the volatility of employment at club under Perez, who during the day runs a very successful construction company that works like clockwork but at night struggles with the standard unpredictability of football. Indeed, former Real Madrid manager, John Toshack experienced that power at play in his time and relied on his lengthy track record at Liverpool under Bill Shankly, his record-breaking years at Swansea City, Real Sociedad and Besiktas to box clever with some of his bigger dressing rooms superstars; Pedrag Mijatovic, Clarence Seedorf, Oscar Ruggeri and Emilio Butragueno. Ironically his third-choice goalkeeper at that time was Julen Lopetegui. Although one senses already that Perez may have cooled on the idea of Conte to avoid untimely dressing room tension and opening another battle front at this time. But if the stories of Conte’s toughness are to be believed it is clear the Madrid squad feel they are above that these days and will decide who their own boss will be. Which bodes well for temporary appointment, Santiago Scolari, and guarantees that players will do their best over the coming two weeks of his trial to make him look good and the right man for the job. Unlike Lopetegui whose fate was sealed the moment he was forced to leave the Spanish national job in the manner he did a few days before the start of 2018 World Cup. He also had no chance in the wake of Zidane success and was almost expected to win every game from the start. How Lopetegui thought he could he walk the line under Pérez leadership after just renewing his contract with Spain shows a lack of clear thinking. That failure in judgement now sees him out a second job after a bad run of results. If Perez is good at firing he is much less able to hire successfully and will now resort to the available internal candidate, Santiago Solari, as no other alternatives are immediately available, given Pochettino’s exit clause is astronomical, and Roberto Martínez only rumoured to be in the mix and Conte his original candidate entangled until very recently in a dispute with his employers at Stamford Bridge. Or if now available is apparently not the players preferred choice. Anyway, if the Italian is the choice he will demand some new additions to the squad, particularly at the back where Sergio Ramos is clearly passed his sell by date, and where Rafael Varanne remains far from the finished article his promise led all to believe. Yet the lure of Madrid always wins out. Rafa Benitez jumped at the chance to return home to the Casa Blanca but only lasted a total of eight games. His demise leading to the promotion of Zinedine Zidane by default and against all odds. Ironically, Zidane then proved himself as one of the most successful managers ever at the club along with Vincente del Bosque, also another internal promotion in his time. Yet the latter paid it for by losing his job despite winning the Champions League. Similarly, Zidane was a choice that surprised all, as the Frenchman seemed more at home in backroom roles. However, by default proved an inspired choice. But his unexpected resignation last June after securing the third successive Champions League trophy shows that working under Perez is a health hazard. Catching his president totally wrong wrong footed leaving Perez to plunder the national team to hire Lopetegui. Once again Perez finds himself without a plan and searching for a new candidate. For a nation currently ranked 59th in the world we are not short of ambition in terms of our footballing expectations at international level. An expectation based on very little facts, too much imagination and an excess of hope. None of which was dampened seemingly by the events in the EURO 2012 when the Republic of Ireland was drawn in the 16 nation tournament in the same group as Croatia, Italy and Spain. The telling facts showed our players far inferior in every aspect with the telling results in each of those matches confirming the same. Leaving the apologist’s extolling the idea that against the world champions little more could have been expected. Or the rationale that Italy were world champions in 2006. With some more tame remarks when explaining away the Croatia result. All a far cry from that potentially great night against Spain in Suwon when against ten men Ireland missed a chance to clinch a quarterfinal place. Only to lose on penalties in the end to a scabby one from Spain's normally majestic Gaizko Mendieta, along with a miss from the usually reliable Matt Holland. Even more remarkable as it was on foot of the now tired football civil war tale that was Saipan. 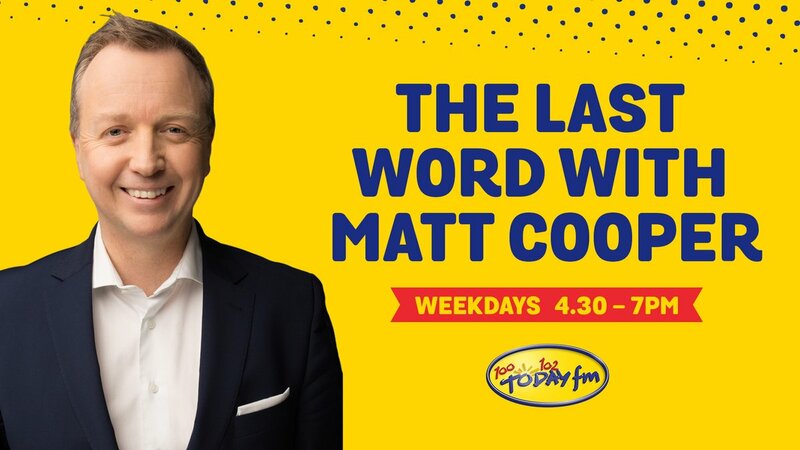 None of which saved Mick McCarthy from an ignominious exit in the end as exaggerated national expectations could not be met in the EURO2004 campaign and he was replaced by the youth miracle worker, Brian Kerr. An appointment that filled the ballroom in The Shelbourne Hotel as it was hailed as a defining moment in Irish soccer with one of the nation's own taking the reins. But as history recalls, a Thierry Henry goal yet again - this time in Lansdowne Road - ended that dream with Kerr now living out in punditryland far removed from the beautiful game. Along with Eoin Hand who had his time in the 1980’s with the national team in those twilight years prior to Jack Charlton and the Holy Grail of EURO 1988 - all courtesy of Gary McKay’s unlikely goal for Scotland in the winter of 1987 against Bulgaria. Which for those who fans who marched to the Neckarstadion in June 1988 along the banks of the Rhine was irrelevant as it offered a chance to do battle against an England of Peter Shilton; Trevor Stevens; Kenny Sansom; Neil Webb; Mark Wright; Tony Adams; Bryan Robson; Chris Waddle; Peter Beardsley and Gary Lineker. All household names to Irish football viewers and all big enough thanks to Match of the Day to shiver your timbers. So much so that Ronnie Whelan's shinned goal against Russia a few days later - which put Ireland into the lead - nearly sent the nation into orbit. A place we do not seem to have returned from since the Charlton team reached the quarterfinals in Italia 90, courtesy of Packie Bonner's penalty save in Genoa. 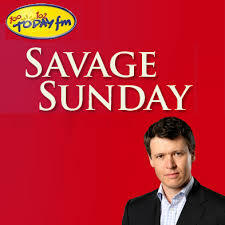 And David O’ Leary’s magic goal a few moments later. The euphoria only to be repeated in Giants Stadium in New York four years later when the might of another footballing superpower was again undone by a cheeky goal from Houghton. Ably supported it has to be said by some cataclysmic defensive work from Paul McGrath – and the sorcerer’s apprentice at the time, Phil Babb. The legend that was Jack though was finally unravelled at Anfield one cold December night in a play-off with Holland for the EURO 96. The defeat leaving man fans dreams extinguished. For a time it was a taste of real life as the Republic struggled to find their way back to the big time. Something Mick McCarthy finally set right in 2001 winning the play off against Iran which took the Republic of Ireland to Japan and Korea. A major tournament for the first time in eight years and only the third world cup. It was a result that reignited Irish fans sense of entitlement with a trip to the far blue Asian yonder which saw them squeeze out the group and into the knockout stages. Despite being drawn with Cameroon Saudi Arabia and Germany. Only to fall against Spain that hot summer night in Korea. With the era of Stephen Staunton now almost air brushed out of Irish footballing folklore, it proved a sad demise for one of the longest serving premier league players of his era. Who with the now departed Bobby Robson compounded the expectations for the fans even when faced with the might of Germany at Croke Park. Having been close to the situation at the time it was sad to see an Irish legend undo the goodwill that had been earned over decades at Liverpool and Aston Villa. But such is football, and the likes of minnows Cyprus, that his name is probably only equalled in many ways by Kerr who did much to put the youth game on the world map. But was unable to transfer similar success at senior level as those needed results could not be delivered. As FIFA rightly reminded the Republic of Ireland this week with the ranking, the nation is way down on a global scale. No matter what Sky Sports tell us about the Premier League week in and week out, Irish players are increasingly less relevant at the top clubs. Which in a sense is a red herring given that 65% of teams are populated with non-English players, as the top teams barely reliant on players from these islands. Be they Irish Scottish Welsh or English such is the transfer game now. Excluding the unprecedented Gareth Bale move to Real Madrid. Indeed, long gone are those Arsenal days on Match of the Day of Liam Brady, Dave O’Leary and Frank Stapleton. Or even the golden oldies of Gerry Daly, Ashley Grimes at Manchester United. Or Steve Staunton, Ray Houghton and John Aldridge at Liverpool. Such is the game now that Irish players are much further down the food chain. Hence Giovanni Trapattoni was limited in his options. Or more limited than some previous national managers who benefited from a raft of gifted players that seemed to prove a seismic force on any given day. The dismantling of Holland on September 1st 2001 a vivid example of the possible dream with Ireland as the team undid Edwin Van der Sar, Jaap Stam, Philip Cocu, Marco Van Bommel, Marc Overmars, Patrick Kluivert, and Ruud van Nistelrooy. Albeit the nation came very close at Stade de France in 2009 against France in the second leg play off- had it not been for the hand of God. Or Monsieur Thierry Henry that night. However that was the sole night of elation that Il Trap could rustle up over five years, depriving the national sport those moments that live long in the memory. Instead proffering a litany of score draws and vacuous victories that were boring to behold and testing to follow. Even that rainy night in Bari against Italy, which could have been a cracker had we the courage to chase the win. But such is the defensive mind-set that colours Trapattoni's view of the game it proves diametrically opposed to the football so prevalent today. 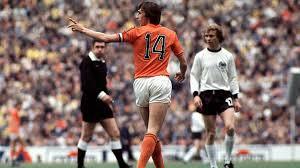 Or that played by Jupp Heynckes, Pep Guardiola, or Juergen Klopp of BVB Dortmund. Their philosophy being, we will always score more goals than the opposition and won't obsess with defending. Thankfully Champions League at the knockout stages is about that and it is no surprise that the likes of Juventus struggle in the tournament every year. Clearly the Italian ways work in Serie A, even if it is not as pronounced these days as was practiced by Il Trap during his years there. 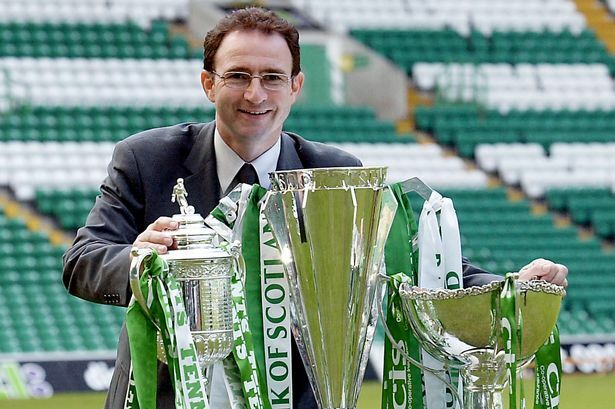 Now for those of who know little about Martin O’Neill, he too helped bring such moments to his people as a player. In fact Northern Ireland pre-empted the Chariton era in Valencia in 1982, when Gerry Armstrong scored the goal that shocked the hosts Spain in their opening world cup match. 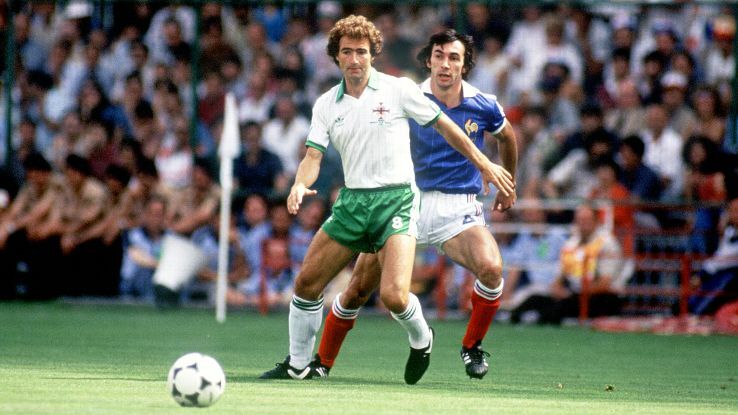 A goal that sent O'Neill’s team into the second stage group where they were unhinged by a France side that contained the best In Europe at the time; Dominique Rochteau, Michel Platini, Alain Giresse, François Battiston, Marius Tresor, Manuel Amoros and Jean Tigana. Nonetheless Northern Ireland gave their fans a lift that has yet to be equalled, despite also qualifying for Mexico 1986. Don’t forget too with Nottingham Forest he also won two Champions League trophies beating Malmo in 1978 and then Kevin Keegan’s HSV Hamburg in 1979. Memories that fans in Sherwood Forest still talk about. It is no easy task following your parents into their chosen profession. This is even more difficult if it is the exact same profession or sport. Yet the list is lengthy of young men and women who have chosen to exactly that and risk the caparisons; Jordi Cruyff electing to become professional footballer following in the footsteps of his famous father Johan; Enzo Zidane Fernandez similarly battling the shadow his Father Zidane, Conor Daly the Indy Series driver tracing his father steps- former F1 driver - Dubliner Derek Daly. Whatever about following into another sporting discipline, the choice of pursuing the exact same discipline can only lead to unenviable comparisons. Particularly if your Father established some unrepeatable records. Yet such is the life of Nicholas Roche. 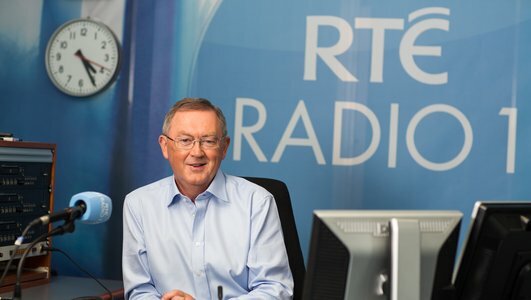 Who was only three when he stood by his Fathers side on the Champs Elysee in 1987 when Stephen became the first Irishman to claim the Tour de France. Only months after also winning the Giro and was then to make it a treble year with the World Championship a few months after. 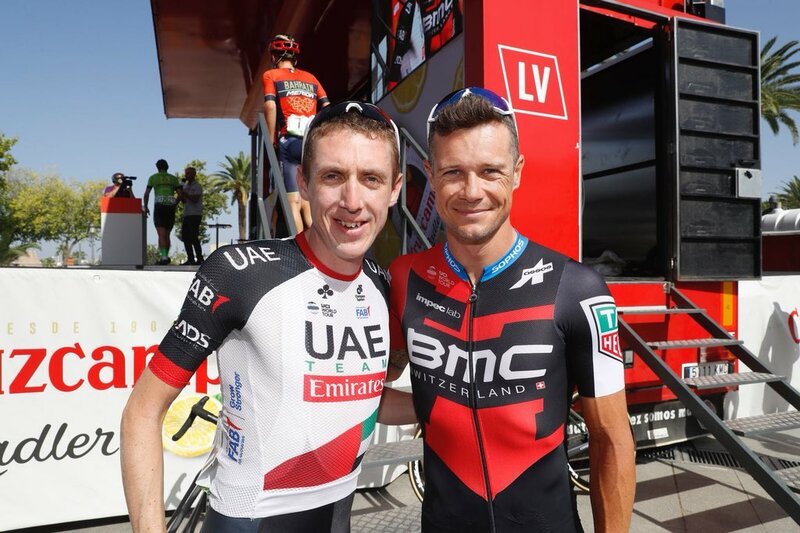 But such is the character of Nicholas he is now the bearer of an impressive CV starting with the win Irish National Road Race and in doing so joined the family business as two of Nicolas’s uncles are former professionals while his cousin Dan Martin currently rides for UAE Team Emirates. Having set his mind on becoming a hotel or restaurant manager his thoughts changed n 2002 Mario Cipollini beat Robbie McEwen and Erik Zabel to win the World Championship in Belgium. From that moment he wanted to make it as a professional cyclist, a decision surprised his family, who encouraged him to continue with his studies. Nicolas’s determination took him to start with French amateur club VC La Pomme in Marseille and eventually turning professional with Cofidis in 2005. His all-round ability led to French based Credit Agricole and AG2R La-Mondiale teams and still remains one of the most consistent riders in the peloton today and currently with BMC Racing. Roche has ridden in the Beijing Olympics, the Giro d’Italia and the Vuelta a Espana. However, his breakthrough came in his first Tour de France in 2009 where he recorded 5 top ten stage finishes on his way to finishing 23rd overall. Over the last few years Nicolas continued to develop and in 2013 he signed for Team Saxo-Tinkoff, supporting teammate Alberto Contador. Nicholas achieved his best ever finish in a Grand Tour race, securing a top 5 position in the three-week Tour of Spain. 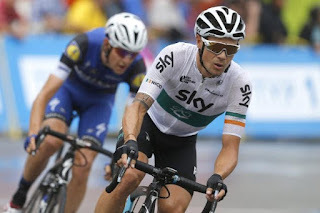 His performance was even more impressive given he won an individual stage and became the first Irishman in 25 years to wear a race leaders jersey at a Grand Tour. In 2014, Nicolas changed his race programme to accommodate the Giro d'Italia, which began in Ireland for the first time. The opportunity to ride a Grand Tour in front of home fans was a very special experience for Nicolas. Unfortunately, in the latter stages of the race he was involved in a crash which put an end to his chances of competing for the Overall GC. In June, he won his first stage race as a pro with an impressive performance at the Route du Sud. In July, he made his thirteenth Grand Tour start at the Tour de France. Though the team suffered a blow in the second week when Contador crashed out. In the September, Nicolas finished 5th at the Tour of Britain after which he moved to Team Sky in 2015. Proving and was an integral part of the team that aided Chris Froome to victory at the Tour de France. A month later at the Vuelta the Irish man he won stage 18 in impressive fashion. Nico began his 2016 season with a 2nd place overall finish at the Tour de Yorkshire. Then in May he was named on Team Sky's Giro d'Italia team. In the summer, Nico won the Irish National road race and time trial championships and was subsequently selected to ride at the Olympic Games in Rio. The following tear he debuted with his new team BMC Racing and supporting of teammate of Tasmanian, Richie Porte, at the Tour de France. 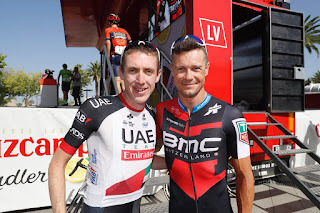 However, Porte’s misfortune continued and a bad crash on stage 9 end his post Sky ambitions, and so Nico was given freedom to attack in the remaining weeks of the race. 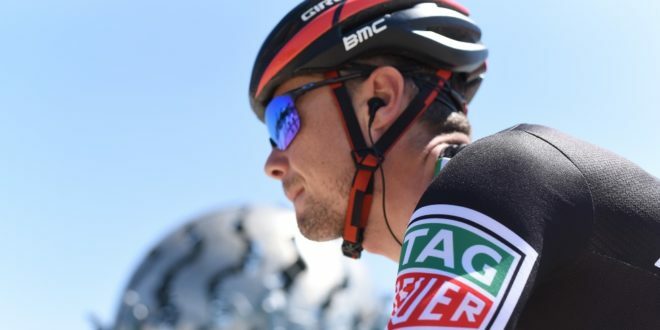 In August, he lined up at the Vuelta as joint leader of BMC and the team got off to the perfect start winning the opening team time trial stage. Nico rode consistently over the remaining three weeks, which included three top 10 stage finishes en route to finishing inside the top 15 on the Overall GC. Felix the Cat was a well-known comic strip cartoon in cinema in the early part of the 20th Century and featured the friendly feline in some entertaining adventures. Becoming very popular with movie goers during the silent movie era and then tragically faced a rather swift demise with the arrival of sound in the mid-1920’s. The arrival of new technology brought competition in the shape of a mouse and company called Disney. In Portugal in 1963 there was the arrival of José Mário dos Santos Mourinho Félix on the other side of the River Tagus from Lisbon, in the municipality of Setubal, a son to professional footballer Felix, and his wife Maria, the proud owner of one international cap for his country. Although his son Jose, would also play the game he was not good enough to make it in the professional ranks preferring as a result to focus on coaching at an early age instead. Manchester United is now Mourinho’s eighth club as manager. In the wake of United’s defeat to Brighton it looks as if he may need use of his ninth life as the club CEO, has emerged from the woodwork to offer the dreaded vote of confidence. However, it all should be of no surprise as Manchester United’s hiring record has been inconsistent historically in terms of managers. The exceptions being Sir Matt Busby and Sir Alex Ferguson. The latter spared being shown the door by a handful when a run of 6 losses suddenly saw a win against Nottingham Forest and triggered a run to the FA Cup Final. The subsequent victory over Crystal Palace, albeit in the replay, was the start of Fergie’s career as we know it and now a major part of the club’s history. It all coming after three fruitless years with Ferguson under intense pressure as the 1989/90 season progressed as the club were without a league title since 1967. So, the FA Cup became the route to salvation as in those days as it also automatically earned qualification in the European Cup Winners Cup. Trophies then followed thick and fast as Ferguson captured the Premier League 11 times, the European Cup twice, the European Cup Winners' Cup, the Club World Cup, the FA Cup five more times and the League Cup four times. Although that legacy will never be surpassed any manager arriving at Old Trafford needs to live with that weight of history on his shoulders. Unfortunately, the real problem was that after such a lengthy stewardship there was a lack of succession planning, So Manchester United since 2013 are still trying to deal with post Fergie era and now on their fourth manager since he left. Indeed, living a turbulence more akin to a club such as Real Madrid, who following the summary departure of Vicente Bosque, saw ten managers in as many years arrive at the club. Yet despite all that upheaval – they since made modern footballing history - by winning three consecutive Champions League trophies. Indeed, it proved an internal production line that enabled Liverpool deliver success and minimise upheaval for decades. Something Manchester United failed to value once they went public in 2012 where the day to day footballing things ceased to be of the same value perhaps and big business, leveraged debt, commercial sponsorship became the main currency of choice. The commercial needs to reduce the debt of the Glaser family meaning financial investment types were the new Directors, and the arrival of as Ed Woodward in the top roles. Perhaps underinformed about those subtle workings of a football club perhaps but the key commercial decisionmaker all the same. With the hiring of Jose Mário dos Santos Mourinho Félix one of those errors viewed from a neutral corner. The fact that Mourinho has straddled periods at both Real Madrid and United shows how far the man from Setubal has travelled in his eighteen years. On the other hand, it also highlights the contradictions of the man and his behaviour over the years, despite all the accumulated silverware over that time. On the field he has more than proven his ability. Now as those days fade into history the fact remains his last league title was with Chelsea in 2014/15, and the las trophy at European level was the Europa League with Manchester United in his first full season, and the invincibility at Champions League level a distance back to the 2009/2010 with Inter Milan. All this decline on the field showing the limited value these days of “Parking the Bus” and it has been accompanied by some increased off the field histrionics also. Which saw him depart controversially from the Santiago Bernabeu, then part ways with his biggest patron twice, Roman Abramovich, and then secure the role at United despite misgivings of some the club stalwarts. Allegedly a key one being Sir Bobby Chariton, normally a good litmus test for all things good at United. In hindsight it seems that there were some reasons for such views and now Woodward - the enthusiastic proponent of Mourinho - is now having to resort to corporate speak to explain his star man’s increasingly unusual behaviour. Yet a sign of the times that the CEO bears a CV showing scant experience at managing mano-a-mano at a football club. An environment which is still somewhat Luddite in many of its activities and only guarantees the unpredictability of match results every weekend. Meaning the issues cannot be resolved by Pareto Charts, Budgets forecasts or net asset value calculations. Indeed, the only certainties about football is that players need to be paid - and those costs are rising every week - and managers come and go. Unfortunately, at United Mourinho currently seems to be moving from hero to zero and his every move now under increasing scrutiny as he fumbles to secure supposedly easily wins only weeks into the brand-new season. However, history tells us that Mourinho struggles in his third season anywhere and the noises out of Old Trafford suggest that he may be entering that familiar wind tunnel. This unrest often raising its ugly head once he signs a contract extension and as he seems to then almost seek a break up in order to sail off into the sun with his termination. In January Mourinho signed a contract extension committing his future to the club until 2020 with the option of another year. At Chelsea he signed a new four-year contract in August 2015 that would supposedly keep him at Stamford Bridge until 2019. But he was gone from the club within four months. That same articulateness that made Mourinho good newsfeed on his arrival to Chelsea – and the infamous Special One comment – is now rather tiresome and he would do better off to keep quiet and say very little. Both in victory or defeat. However, shorter news cycles these days and the social media thunderstorm seems to feed Mourinho’s addiction to offering some off the cuff remarks. So, these days he seems to relish the limelight more than ever and his quotes circle the sporting the world in seconds adding to his box office appeal apparently. What is not lost, and is on record at Real Madrid, was the way Mourinho intimated his intended departure from Madrid immediately after the 2013 Champions League defeat at the UEFA post-match press conference more or less. 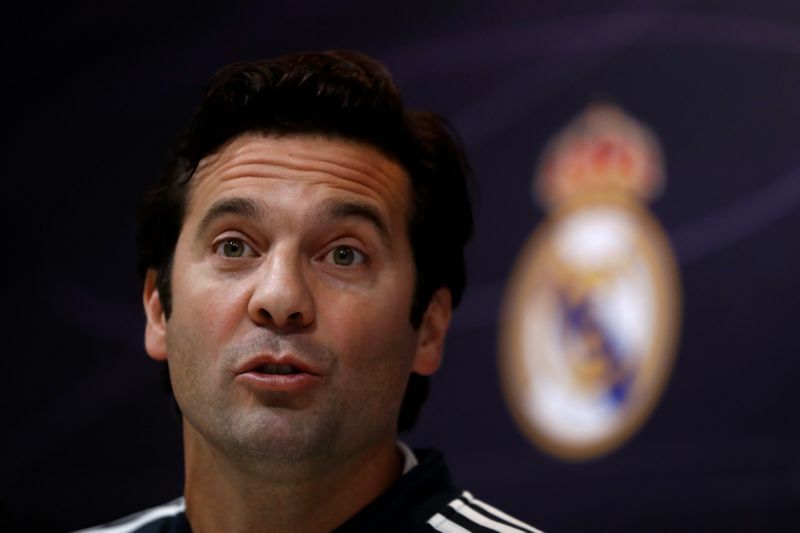 Despite signing a contract extension in January 2012 to keep him and his backroom staff at Real Madrid until 2016. It was his third consecutive exit in as many seasons from the Champions League and clearly failing to deliver the Holy Grail he promised president, Florentino Perez. Only securing one La Liga title in those three years – losing a number of Clasico’s to boot -but adding a fourth country to his own Palmarès in which to win such a League title. 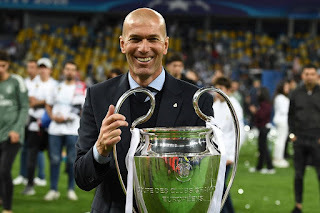 Following wins with Chelsea; FC Porto twice 2002 and 2003; Internazionale Serie A: 2008–09, 2009–10; and Real Madrid in 2011–12 he joined that small club that includes Carlo Ancelotti - the first manager to win titles in four of the 'big five' leagues, FC Bayern, AC Milan (2003/04), Chelsea (2009/10) and Paris St-Germain (2012/13); Ernst Happel, Tomislav Ivić and Giovanni Trapattoni. The other matter - or elephant in the room – was the level of spending by Mourinho - yet never managing to resolve some of the key problems and overspending on players who were never the quality required to win the big matches. For instance, £25million on Fábio Coentrão who had Jorge Mendes as his agent, as did another £25million signing Ángel Di María; Ricardo Carvalho (£7million), José Callejón (£4million) and Diego López (£2.5million). He also bought Rafaël Varane (£8million) and German midfielders Mesut Özil (£12million) and Sami Khedira (£10million). With only the 2018 world cup medal winner, Varanne, still at the Madrid club. In addition, after Luka Modric was bought to the club from Tottenham Mourinho almost refused to play him until he had in option the Champions League meeting with United in 2013. Since that moment the Croatian midfielder has become indispensable to Real Madrid, yet never regarded as such by Mourinho funnily enough. All this created turmoil and since the departure of Mourinho eight seasons ago all that white noise has dissipated, and four champions leagues were won under just two different managers. The reign of Zinedine Zidane the essence of quiet focus off the field and inventive play on the field. Last season saw an early exit in the Champions League for United as Mourinho’s latest team were beaten by Sevilla in the round of last 16. Which any amateur coach would have predicted given the contrasting styles of the managers and now surely questions that supposed invincibility in the competition of the self-proclaimed Special One. An invincibility which had its origins in 2004, when a year after winning the UEFA Cup against Celtic in Sevilla, Porto steamrolled a strong Monaco side with fast and furious playing system. Good enough to attract the attention of the powers that be at Stamford Bridge. The other part to the Mourinho conundrum is the relationship with Jorge Mendes the so-called Super football agent, who worked on Mourinho's appointment as United manager as his fellow countryman heads up his own sports agency, GestiFut. It was in 2004 when Mendes first worked with Mourinho when the Porto boss joined Chelsea and was able to vastly enhance his profile as a result, with numerous Portuguese players signing up his services including Ricardo Carvalho, Paulo Ferreira, Tiago and Maniche - all following Mourinho to Chelsea. The pair have continued to work together, with Mendes securing lucrative deals for Mourinho at Inter Milan, Real Madrid and on his return to Chelsea. Some of the players bought by Real Madrid for instance were not always highly rated or even well-known but represented by Mendes. 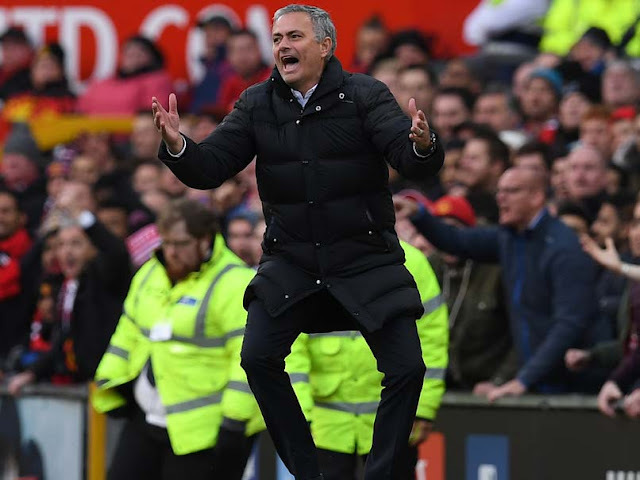 A number of examples – Coentrão and Pepe - detailed in The Special One: The Dark Side of Jose Mourinho y Diego Torres (translated by Pete Jenson). A depressing review of his time at Real Madrid in facts and figures. So as United announce they are to appoint a Director of Football - following Mourinho frustrations - on the lack of recruiting at Old Trafford over the summer, he has historically always has had difficulty with these roles over the years. So, he was surprisingly positive when Woodward announced the news. At Chelsea it was Denmark’s, Frank Arnesen; then at Real Madrid it was Argentinian world cup winner, Jorge Valdano. “He's a figure who is perfectly suited to these bombastic, shallow times. I couldn't understand him because he is in the antithesis of my sensitivity. Intelligence and ego are enemies. And when they collide, the ego wins. ", Valdano continued "If Guardiola is Mozart, that makes Mourinho [Italian composer Antonio] Salieri. He would have been a great musician if Mozart had never existed. I've never heard him say a single thing about football worth remembering, whether in public or in private. "He had one of the best squads in the history of Real Madrid. He always remained just outside the door of the Champions League. That was the big challenge which he did not manage to succeed at." Then what about his famed relationship with the players and that so-called rapport. Well, aside from the early years of wielding magic at Porto and his next role at Inter winning the treble in his second season - in the shadow of AC Milan – it is somewhat sketchy. Indeed, currently at Old Trafford the record suggests otherwise with the unrest with Paul Pogba and Anthony Martial. As Mourinho seems to like upheaval it is contrasting approach to that of Pep is refreshing, as he praises his young players holding the fort in pre-season. At Liverpool, Jürgen Klopp was busy telling Nathaniel Clyne to put his family before football after the birth of his son recently. Meanwhile Mourinho is publicly questioning why Martial is not cutting short his time with his loved ones to return to work. Then post Russia 2018 as Pogba is being showered with praise from all corners of the globe, Mourinho’s first public contribution was to warn the Frenchman that he needed to bring all his form from back to the Premier League. The technique now tiresome, for fans, and so it must be for players who are new breed and no longer kowtowing to some of those older fashioned values. Mourinho is unable seemingly to move from a basic formula that worked before, to a newer version of himself, and now looks and sounds like a dinosaur facing extinction. At the Bernabeu he lost the dressing room when he had issues with club captain and Spain world cup winning captain, Iker Casillas, a move that was his most ill-advised during his time at Real Madrid. In that sense any tales of unrest at United have a rather familiar ring. With the biggest names usually attracting the most negative attention. The standard Mourinho modus operandi. At Real it arose after when Casillas and Barcelona captain, Xavi, shared a common concern about the increasing aggression in the El Clasico with the two working together to find a solution. When Mourinho, found out he took exception and considered Casillas' actions as a sign of weakness and a betrayal. Always revelling in the "us against the world" dressing room atmosphere such a hallmark of Mourinho’s management style. From that moment the clock was ticking for Casillas at his alma mater and he eventually moved to Porto. At Chelsea his contretemps with Eden Hazard in his second spell at Stamford Bridge, saw the former Chelsea team doctor Eva Carneiro receive the full wrath of Mourinho and to led her ultimately losing her job. Carneiro’s lawyer told the employment tribunal that she heard Mourinho, angered by her decision to go on the field that day, call her a “daughter of a whore” in Portuguese. The club eventually settled the claim and apologised “unreservedly” to Carneiro over the incident. Chelsea also accepted that Carneiro had done nothing wrong and was a “highly competent and professional sports doctor”. But by that time Mourinho had already been sacked as the Chelsea manager because of a “palpable discord with the players” according to the club’s technical director, Michael Emenalo.at the time. It is this break down with players that seems a character flaw that flares up at every club he joins. It may also explain the underlying reason for some poor transfer decisions and that more often than not involve players who are enjoying very good spell or even at the peak at whatever club he arrives as manager. At Chelsea Juan Mata was sold soon only months after gathering a number of individual player awards in the Premier League and club honours. His arrival at Madrid following Manuel Pellegrini’s departure saw Raul and Guti – two club stalwarts – swiftly moved on with little fanfare or fuss. Arriving at United it was only matter of time before the club icon, Wayne Rooney, was offered a one-way ticket and he ow plays in the USA. Then the stories of selling Romalu Lukakau, Kevin de Bruyne suggest a trend of wanting also to buy rather than rely on patience to work with readymade squads. Then the treatment Eden Hazard and the constant criticism of the Belgian in early 2014 season - when the player was at the peak of his powers – was nothing short of bizarre. I nit disgraceful. A form coincidentally that Hazard never repeated until this summer’s world cup in Russia. Bonucci was deemed surplus at Inter and then went on to win six Serie A titles with Juventus. Even two seasons ago Bonucci was coveted by Guardiola who was ready to pay £43m before the defender penned a new four-year deal. Then Mohamed Salah moved to Liverpool from Roma returning to the Premier League after being previously loaned by Chelsea to Serie A side during Mourinho's second spell at Chelsea. Last season Mo won the PFA Players award and broke numerous goal scoring records. The reality maybe that Mourinho is finding all this hard to accept and the timely reminders of former players succeeding may be irritating. Also, he now has to watch some of the younger guns coming up the management ranks and attracting some of his media space. His football style no longer earning the same plaudits, or enthralling fans and his message now rather repetitive, sounding self-absorbed and rather stale. The arrival of Klopp at Liverpool, his nemesis Guardiola succeeding in the same city, never mind the same league, and then a new face at Arsenal to perhaps add more competition and steal some newspaper column inches. All this as United suffered a disastrous season last year as Manchester City took the Premier League title, Liverpool reaching the Champions League Final and Chelsea winning the FA Cup. Back in February Bristol City knocked the Reds out of the EFL Cup and leaving a very empty trophy cabinet for United to polish. Not forgetting defeat in the Champions League in the last 16. Leaving Mourinho a sultry and cranky figure facing into a new season which started with that defeat to Brighton. No longer, able for the moment, to wield his magic as he did once upon a time. Even after buying the world ‘s costliest player in Pogba. – with whom he still seems unable to get the best out of as yet. Yet anyone watching what the player in Russia for France knows the player is not the issue. 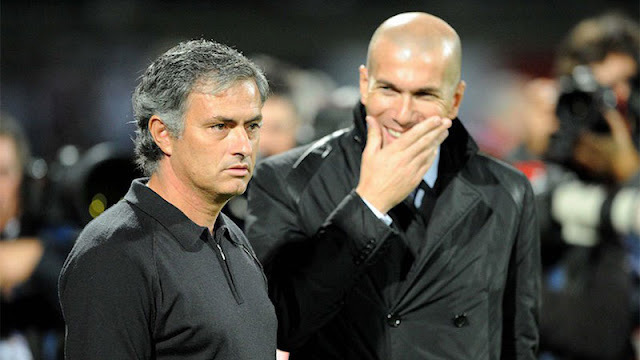 Therefore, it made perfect sense this week to hear the name of Zinedine Zidane linked as an option for Manchester United should Mourinho be moved on early. In all his last four managerial roles the self-appointed Special One has not stayed a full three years; at Milan it was two years before accepting the lure of Real Madrid just moments after winning the Champions League for the Italian club. He stayed just three years at the Bernabeu when Abramovich offered an escape route to London. But then Mourinho did not even make his third Christmas party with the Blues. Now all eyes are on him again given he arrived at United in May 2016 and is now just starting his third season. On his arrival the club Woodward explained the decision: “José is quite simply the best manager in the game today,” the executive vice chairman said. “He has won trophies and inspired players in countries across Europe and, of course, he knows the Premier League very well, having won three titles here. I’d like to take this opportunity to welcome him to Manchester United. His track record of success is ideal to take the club forward.” In recent weeks those words have become vacuous waffle as Woodward and Mourinho seemingly having difficulty even talking to each other according to some reports. But if Jose leaves he will be using his ninth life and if Zidane is the choice he has to leave a life he enjoys in Madrid with his Spanish wife. A move to England may not be on his agenda as the language is not one of his strongest. But these days with private jets family mobility is much easier for high flying footballers or managers. Indeed, Rafael Benitez during his time at Napoli and Madrid never moved the family from the Wirral. Maybe even still hasn’t through his time at Newcastle. And Mourinho stays at The Lowry while his family live in the London home and never moved to Manchester. Yet if United are serious about restoring their legacy then Zidane is the manager to lead that effort, as he is low on histrionics and high on achievement. Both as a player - bar the world cup final against Italy in berlin ) and now with a rookie managerial CV that would rival some of the greats of the game already. His low-key nature is exactly what the game needs at Manchester United and would be good news for investors, the share price and the overall value as a brand. Although Zidane wanted a break from the game if the right offer comes along things change. Similar to Klopp, who despite being on a break from football took the call when it came from Fenway Sports Management to join Liverpool. Looks like Mourinho maybe using his ninth life sooner than planned.